The Israeli drone that targeted the Syrian militiaman Yasser Sayad outside the Golan town of Quneitra Sunday, March 19, reinforced the message first carried by the Israeli Arrow 2 which shot down a Syrian SA-5 anti-air missile Friday. The Israeli ambassador was called twice to the Russian foreign ministry. Both hits were precise: Sayad was on his way to join the Hizballah forces who are trampling Syrian rebel villages on the Hermon slopes to clear their path to the Golan; and the Syrian SA-5 was intercepted microseconds before hitting the Israeli jets attacking a consignment of Hizballah weapons outside the Syria T4 base near Palmyra, where a Russian contingent is also housed. After the air strike, Israel’s ambassador to Moscow Cary Koren was summoned to the Russian foreign ministry to hear a warning from Deputy Foreign Minister Mikhail Bogdanov to stop interfering with Russian plans for Syria. Nonetheless, two days later, the IDF was again in action, this time on the Syrian Golan. A-Sayad was killed outside Quneitra as testimony of Israel’s resolve to continue to wage warfare against the Iranian and Hizballah military presence in Syria and their aggressive push towards its borders. And Sunday, Ambassador Koren was called to the foreign ministry in Moscow for a second dressing-down, this one, undoubtedly sterner than the first, seeing that Israel had escalated its face-off with Moscow on this issue and raised the stakes for a potential IDF clash with Russian forces in Syria, for better or for worse. The government in Jerusalem has in fact drawn a strong line against Moscow’s policy of allowing hostile Hizballah and paramilitary Syrian forces, like to Golan Liberation Brigades, to gain control of territory directly adjacent to Israel – from the Hermon range through Qunetra and further west up to Daraa overlooking the Jordanian border as well. debkafile’s military sources reveal that Jerusalem was further alarmed Sunday by discovering that an Iraqi Shiite militia was on the way, under the command of Iran’s Al Qods chief Gen. Qassem Soleiman, to reinforce Hizballah’s Hermon-Golan offensive. This militia, called the Al-Nojba Movement, consisting of 1,500 Iraqi Shiite fighters, is the pet project of Hizballah’s deputy chief Sheikh Naieem Qassem, who sent officers to train them. 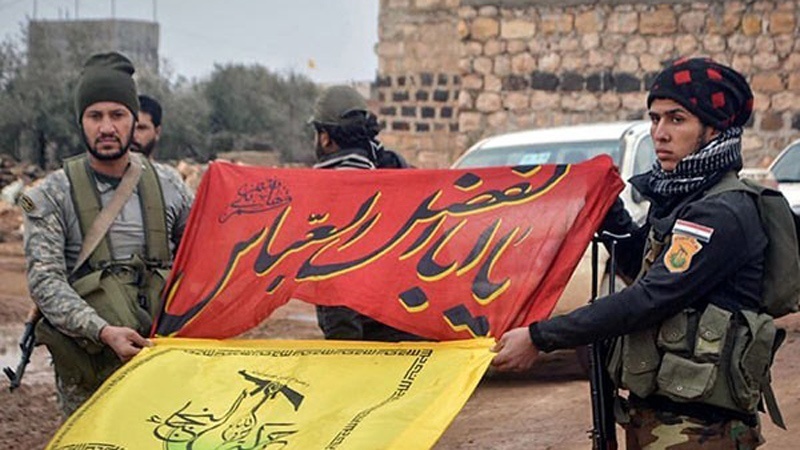 Since the Al Nojba militia has been deployed in the northern Syrian town of Aleppo, its transfer south to fight with Hizballah could not have gone unnoticed by the Russian officers on the ground. The militia’s landing on the slopes of Hermon would herald the intrusion of additional foreign pro-Iranian Shiite forces in this embattled location on the fringes of the Golan. Israel can be expected to intervene again to put a stop to this dangerous Russian-Iranian-Hizballah ploy to exploit the turbulence in Syria for allowing Israel’s enemies to grab forward assault positions in Syria.